Marketing was never an easy task, but it was much simpler before the internet revolution. We had only a few TV channels, radio stations, limited number of popular magazines and major newspaper. Businesses just had to craft a catchy message and publish it through these mediums to reach out the customers. Things have taken a big turn now where we have got millions of websites over the internet, vast array of mobile applications and a multitude of other digital channels. Though technology advancements have made the life easier, it made the marketing job more challenging. Business firms that compete within the physical boundaries are facing an aggressive competition on a global scale. Integrating technology with the marketing strategy has become quintessential. Business organizations who fail in responding to the challenges of digital age will fall behind its rivals and miss out the forthcoming marketing opportunities. Digital marketing as the name implies is a multi-departmental effort that combines the principles of marketing and cutting edge technological expertise to engage customers and prospects. Key to a successful digital marketing strategy lies in integrating the three basic elements seamlessly – People, process and technology. Sound understanding of customer behaviour and a refreshingly unique approach is crucial for launching your digital marketing campaign. If your business is still at crossroads when it comes to leveraging the potential of digital channels for marketing your services, then let GoingIT, A most trusted Melbourne's Digital Marketing agency help you out. SEO or Search Engine Optimisation refers to the techniques and methods used to rank your website higher in the search engine results pages of major search engines. Generate organic traffic to your website thereby making it more visible for the online audience by choosing us for SEO services. Paid advertising, a significant subset of Search Engine Marketing (SEM) allows the marketers to purchase ads on search engines. Catchy ads featured on the major search engines and websites increase the site traffic and conversion rates. In a nutshell – you have to spend money to make money. Content and customer are considered to be always the king and it is our responsibility as marketers to serve valuable content to the right audience. Content marketing is an effective SEO technique that makes the best use of content by sharing it across diverse online platforms to acquire a clearly defined audience. Leverage the potential of social media platforms to gain more traffic, more conversion rates and to enrich your customer relationships. A strategic social media marketing plan has to be a significant part of your marketing mix so that you can build brand awareness and get ahead of your competitors. Transform & digitize business to stand out in the highly competitive market. Innovative digital strategies address the needs of business & build experiences that engage users. 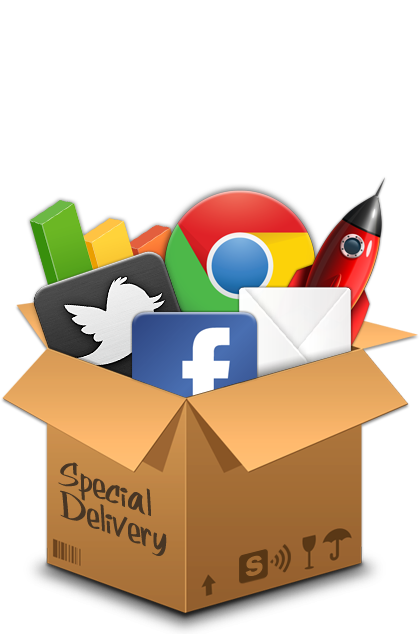 Digital marketing agency, can guide in devising & introducing a cutting edge strategy to solidify brand & overall growth. Place business ads in social media sites to gain attention and traffic. Millions of people are gravitating to the social networking platforms for information and interaction. Take advantage of this great opportunity to reach your potentials customers and prospects. Digitization has become a phenomenon these days as everything is switching from analogue to digital. Businesses need to tap into the potential of such digital technologies to expand their market reach and sales revenues. Digital Marketing levels the playing field where both the small start-ups and big corporate giants have the fair chance to compete and attract traffic. Organisations need to pull out a multi-departmental effort to align its goals with online objectives in order make an impact on the virtual platform. Social Media Marketing, Search Engine Optimisation, Email marketing and several other online techniques are crucial to attract online traffic, increase conversions and generate revenues. And the top of it, emergence of new communication channels and increasing cut throat market competition have made digital marketing much more complex. Branding your business in a creative, unique and engaging way demands expertise, experience and practical skills. Going IT is a leading Internet marketing company that can help your business to adapt faster to the constant change and attain goals in the online landscape. Why not give us a call or visit to our office so that we can discuss about your business plans and goals? Get in touch with our digital marketing Melbourne through 1800 13 1300 or email us at contact@goingit.com.au. We would be more than glad to help you out.